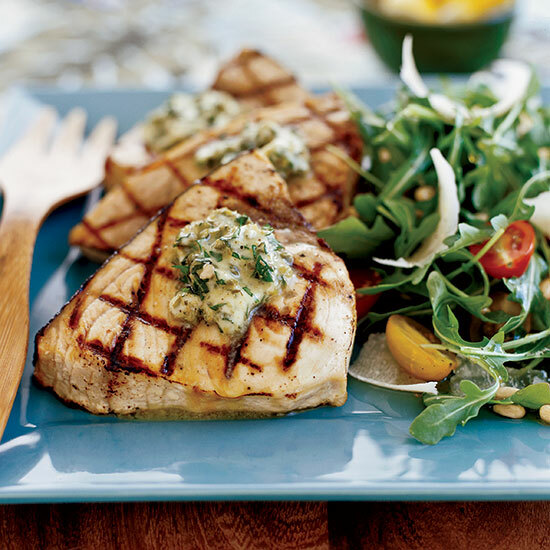 Make grilled swordfish the star of your meal with these easy recipes, from swordfish steaks with basil-caper butter to grilled swordfish kebabs. The basil-caper butter softens this delicious fish. 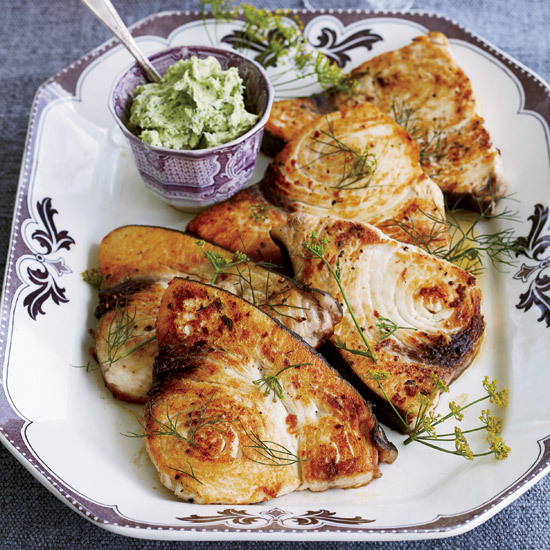 These simple, Japanese-style swordfish steaks marinate in soy, sake and mirin before grilling. The accompanying miso sauce is intensely delicious? Tender fish kebabs are a favorite recipe of home cooks and street vendors throughout Casablanca and other coastal towns in Morocco. 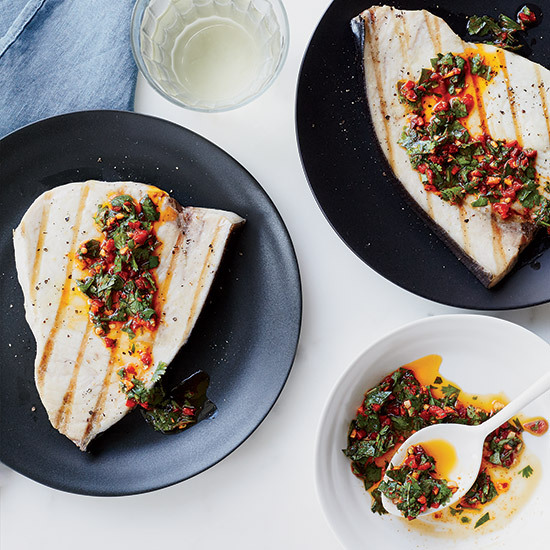 It's probably because they're so easy to make and because smoky, juicy pieces of swordfish (or monkfish, if you prefer) pair so effortlessly with almost any of the wonderful vegetable salads that are common in Morocco. 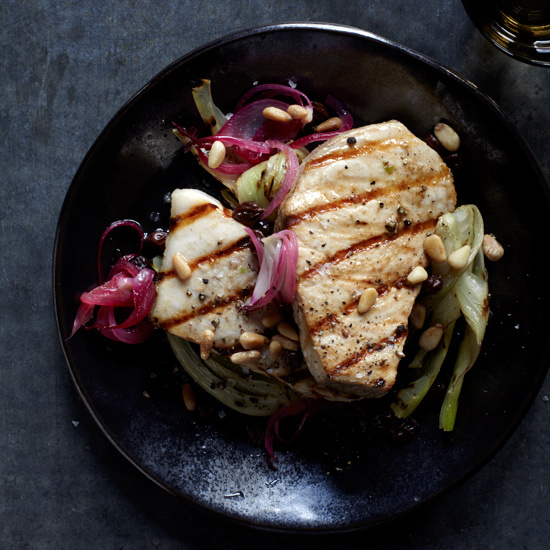 A riff on the classic Venetian dish sarde in saor, this recipe combines meaty swordfish with vinegared onions and smoky grilled fennel. Look for swordfish steaks that have a nice sheen and are relatively thin; they're more tender than heftier steaks, which can be mealy. Cooking fish on an outdoor grill is one of the joys of summer. 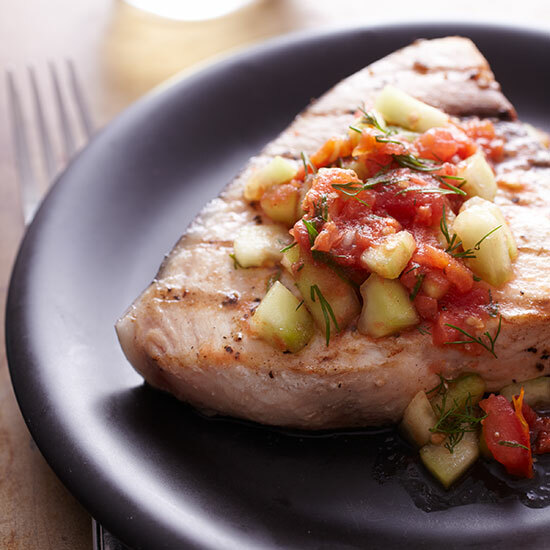 Firm swordfish steaks are particularly well suited to this method, and here we've topped them with a seasonal salsa of cucumber, dill and grilled tomatoes. The dish can also be made in the broiler. 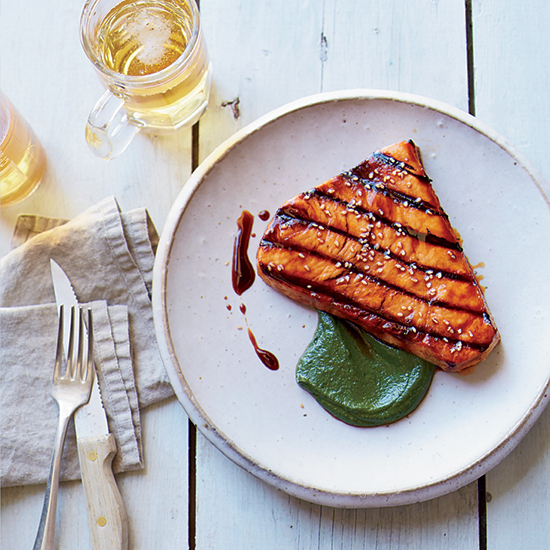 Eli Sussman tops meaty grilled swordfish steaks with a smoky version of charmoula, the delectable Moroccan herb sauce.